I am conducting research into improving and optimising human performance in systems, especially with the introduction of new technology and automation. I also analyse accidents and make recommendations for accident prevention in the future. In 1998 Prof Stanton was awarded the Institution of Electrical Engineers Divisional Premium Award (now the Institution of Engineering and Technology) for a co-authored paper on Engineering Psychology and System Safety. The Institute of Ergonomics and Human Factors awarded him the Otto Edholm Medal in 2001 for his contribution to basic and applied ergonomics research, The President’s Medal in 2008 to the HFI-DTC and the Sir Frederic Bartlett Medal in 2012 for a lifetime contribution to ergonomics research. In 2007 The Royal Aeronautical Society awarded him the Hodgson Medal and Bronze Award with colleagues for their work on flight-deck safety. Professor Stanton conducts research into human performance in technological systems. This research has been undertaken in a diverse range of domains, including: aviation, defence, energy distribution, maritime, medicine, nuclear, road and rail transportation, oil and gas production. The fundamentals of human interaction with technology transgresses these domains and Human Factors methods can be used to analyse and make predictions about the performance of individuals, teams and systems. The insights gained from examining the activities of people interacting with technology can be used to assist in the design of better systems and ways of working in the future. As well as designing better human-machine systems, Professor Stanton has undertaken fundamental research into the development and validation of Human Factors methods. Prof Stanton has published over 40 books and 300 journal papers on his work over the past 30 years. Professor Stanton has research interests in Ergonomics and Human Factors methods as has focused on the broad class of approaches called Cognitive Task and Work Analysis. The validation of these methods has led to published books and papers that present a large selection of methods with advice and guidance, examples as well as any supportive evidence. 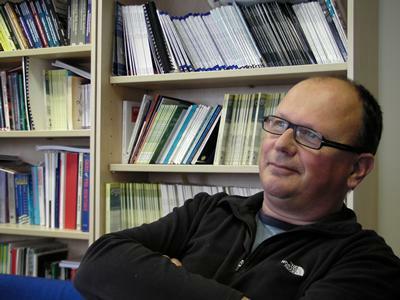 Professor Stanton has also carried out research into team working which has focused on distributed cognition and has led to the development of ideas on distributed situation awareness which has challenged contemporary thinking on situation awareness to present a new approach and associated methods. His team work research has led to the development of methods that can be used to analyse, model and redesign the ways in which teams work. Professor Stanton also conducts research into the effects of automation on human tasks, which has mainly focused on the development of vehicle automation in road transport. The research has considered the implications from automation in other domains, such as aviation, where automation has a history and some hard lessons have been learnt. 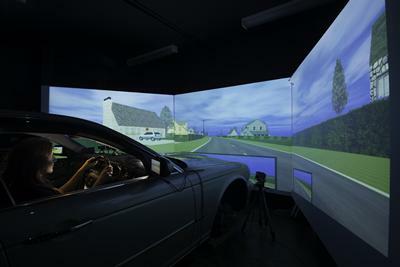 Much of the initial research has been conducted in a driving simulator, which has subsequently led to test track and on-road trials. The research on Adaptive Cruise Control was a particular highlight as this contributed to the first commercial implementation of the system in Jaguar vehicles. The defining characteristic of the work of Professor Stanton is his ability to move between the theoretical, methodological and practical application of Ergonomics and Human Factors. He thrives on problems to be solved. In doing so he is keen to advance both the theories and methods of the discipline. The problems are not simple and the answers cannot be found quickly. It is due to his dogged determination and willingness to collaborate with others that he has been able to advance the science and engineering of the discipline. Ian Maynard (Stress management, 1998), Mark Young (Mental workload and vehicle automation, 2000), Melanie Ashleigh (Trust in human supervisory control, 2002), Jane Prichard (Team working, 2003), Guy Walker (Vehicle feedback, 2003), Elise Jones (Methods for design innovation, 2004), Jackie Stevens (Personality and behaviour, 2005), Rhonda Lane (Medical errors in drug administration, 2005), Tara Kazi (Trust in vehicle automation, 2006), Paul Salmon (Distributed situation awareness in systems, 2008), Dan Jenkins (Cognitive work analysis, 2008), Tom Griffin (Aviation accidents, 2010), Cath Harvey (In-Vehicle Systems, 2011), Laura Rafferty (Human Factors in Fratricide, 2011), Dan Lockton (Design constraints and affordances, 2012), Linda Sorensen (Distributed Situation Awareness in Teams, 2013), Yin Son Yong (Driver Behaviour at Traffic Lights, 2013), Miranda Cornelissen (Performance Variability, 2013), Kirsten Revell (Home Energy Affordances, 2014), Katie Plant (Schema Theory, 2015), Vicky Banks (Vehicle Automation, 2016), Rich McIlroy (Electric and Hybrid Vehicles, 2016), Josh Price (Road Vehicle Management Systems, 2016), and Alex Eriksson (Driver-automation handover, 2017). Daniel Heikoop (Platooning autonomous vehicles), Daniel Fay (Ecological interface design for submarine control rooms), Justin Saward (Latent Error Detection), Katie Parnell (Driver distraction from in-vehicle systems), Richard Deacon (Eco-driving and range anxiety), James Brown (Usability of driver displays in motorsport), Jed Clarke (Automation-driver handover), Sylwia Kaduk (Inferring driver psychological states from physiological measures), Jamal Kinsella (Perceptual Cycle Model) and Craig Foster (Safety Management). In his ALICIA project funded by the EU, Professor Neville Stanton and his team are working with 41 European partners to develop the aircraft technology and tasks necessary to reduce delays in Europe associated with poor weather by at least 20%. Gaining a causal understanding of why operators make particular decisions is essential to advance our knowledge on aeronautical decision making and its potential impact on errors. The project will be conducted over four years. It aims to develop a systems-based model of railway level crossing performance. It will take account of road user behaviour and influences (such as signage, protection provided, the sighting distance on the crossing) and other factors known to lead to incidents. The knowledge developed during the project will include a world-first model of the level crossing system and will support the development of countermeasures that will improve safety. Before highly automated driving can be safely deployed on public roads we have to deal with imminent human-error and legal consequences. HFAuto will answer crucial human-factors questions, such as: how should human-machine-interfaces (HMI) be designed to support transitions between automated and manual control?, how can the automation understand the driver’s state and intentions?, what are the effects of HAD on accident risk and transport efficiency?, and who is legally responsible for accidents? Current design practices used for flight deck design, test and evaluation, involve expensive physical mock-ups with little or no room for reconfiguration and without the flexibility to accommodate multi-disciplinary simulation experiments and scenarios. New tools are needed for designing cockpits with a high level of flexibility and low cost, allowing the industry to reduce the development costs and time-to-market. The cockpits of the future need to be designed based on the conditions in which they will operate. For example, the ALICIA project is focused on the conceptualization of the modern cockpit by taking into account the new demands imposed by the current and future operating conditions of airliners. Virtual Reality (VR) provides designers and engineers with the means of evaluating products and processes at the early stages of the design phase. Knowledge-based tools incorporated with VR technology can provide a platform for designing and validating cockpits using advanced modelling and simulation tools and methods. i-VISION aims to develop a multidisciplinary immersive platform supporting the early phases of the aircraft life-cycle using advanced virtual environments that facilitate the knowledge existing in a real prototype. Stanton, N., & Roberts, A. (Accepted/In press). Examining task, social and information networks in submarine command and control. IEEE Transactions on Human-Machine Systems. Clark, J. R., Stanton, N., & Revell, K. (Accepted/In press). Handover assist trials in highly automated vehicles: participant recommendations for future design. Proceedings of the Human Factors and Ergonomics Society Annual Meeting. Stanton, N., & Saward, J. R. E. (2015). Individual latent error detection: is there a time and a place for the recall of past errors? Theoretical Issues in Ergonomics Science, 16(5), 533-552. Grote, G., Stanton, N. A., & Weyerb, J. (2014). Editorial. Beyond human-centred automation – concepts for human–machine interaction in multi-layered networks. Ergonomics, 57(3), 289-294. Harvey, C., & Stanton, N. A. (2012). The trade-off between context and objectivity in an analytical approach to the evaluation of in-vehicle interfaces. IET Intelligent Transport Systems, 6(3), 243-258. Jenkins, D. P., Salmon, P. M., Stanton, N. A., & Walker, G. H. (2010). A new approach for designing cognitive artefacts to support disaster management. Ergonomics, 53(5), 617-635. McIlroy, R. C., Stanton, N. A., & Remington, B. (Accepted/In press). Developing expertise in military communications planning: do verbal reports change with experience? Behaviour & Information Technology. Stanton, N. A., Rafferty, L. A., Walker, G. H., Salmon, P. M., & Jenkins, D. P. (2010). Ergonomic challenges for digitisation: learning from the analogue mission planning process. The International C2 Journal, 4(3), 1-29. Stanton, N. A., Harris, D., Salmon, P. M., Demagalski, J., Marshall, A., Waldmann, T., ... Young, M. S. (2010). Predicting design-induced error in the cockpit. Journal of Aeronautics, Astronautics and Aviation, 42(1), 1-10. Stanton, N. A., Salmon, P. M., Jenkins, D. P., Walker, G. H., Rafferty, L. A., & Revell, K. M. A. (2009). Decisions, decisions….and even more decisions: the impact of digitisation in the land warfare domain. Proceedings of NDM9, the 9th International Conference on Naturalistic Decision Making, 1-9. Stanton, N. A., Rafferty, L. A., & Walker, G. H. (2009). Fratricide: defective decision making. Proceedings of the 9th Bi-annual international conference on Naturalistic Decision Making, 9, 370-377. Walker, G. H., Stanton, N. A., Jenkins, D., & Salmon, P. (2009). From Clansman to Bowman: HFI principles for NEC system design. The International C2 Journal, 3(2), 1-33. Walker, G., Stanton, N. A., Salmon, P., Jenkins, D., Revell, K., & Rafferty, L. (2009). Measuring dimensions of command and control using social network analysis: Extending the NATO SAS-050 model. The International C2 Journal, 3(2), 1-46. Stanton, N. A. (2007). Human factors in vehicle design. International Journal of Vehicle Design, 45(3), 283-288. Walker, G. H., Stanton, N. A., Gibson, H., Baber, C., Young, M. S., & Green, D. (2006). Analysing the role of communications technology in C4i scenarios: a Distributed cognition approach. Journal of Intelligent Systems, 15(1), 299-328. Stanton, N. A., & Young, M. S. (2006). Automatic intelligent cruise control. Journal of Intelligent Systems, 15(1), 357-387. Barrett, G., Baber, C., Stanton, N. A., MacLeod, I., Newman, P., & Stone, R. (2006). From wearable computers to surgical training: the human factors integration defence technology centre. Journal of Defence Science, 10, 177-185. Stanton, N. A., Harris, D., Salmon, P., Demagalski, J. M., Marshall, A., Young, M. S., ... Waldmann, T. (2006). Predicting design induced pilot error using HET (Human Error Template) – A new formal human error identification method for flight decks. Aeronautical Journal, 110(1104), 107-115. Stanton, N. A., Connelly, V., Prichard, J., & Van Vugt, M. (2002). Assessing the effects of location, media and task type on team performance. Journal of Defence Studies, 7(1), 29-41. Stanton, N. A., Young, M. S., Salmon, P., Marshall, A., Waldman, T., & Dekker, S. (2002). Predicting pilot error: assessing the performance of SHERPA. Human Decision Making and Control, 47-51. Stanton, N. A., Salmon, P., Young, M. S., Harris, D., Demagalski, J., Marshall, A., ... Dekker, S. (2002). Using existing HEI techniques to predict pilot error: a comparison of SHERPA, HAZOP and HEIST. HCI-02 Proceedings. Walker, G. H., Stanton, N. A., & Young, M. S. (2001). An on-road investigation of vehicle feedback and its role in driver cognition: implications for cognitive ergonomics. International Journal of Cognitive Ergonomics, 5(4), 421-444. Stanton, N. A., & Baber, C. (2001). Analytical prototyping of personal technologies: using predictions of time and error to evaluate user interfaces. Interact, 1, 1-8. Stanton, N. A. (2001). Designing auditory warnings: perspectives on user-centred design. Journal of Occupational Health and Safety, 5(1), 53-60. Young, M. S., & Stanton, N. A. (2001). Out of control. New Scientist, 2315(170), 44-47. Stanton, N. A., & Wilson, J. A. (2000). Human factors: step change improvements in effectiveness and safety. Drilling Contractor, 46(51), 36-41. Stanton, N. A., & Stammers, R. B. (1998). Alarm initiated activities: matching formats to tasks. International Journal of Cognitive Ergonomics, 2(4), 331-348. Stanton, N. A., & Young, M. S. (1997). Automotive automation: Investigating the impact on drivers' mental workload. International Journal of Cognitive Ergonomics, 1(4), 325-336. Noyes, J., & Stanton, N. (1997). Engineering psychology: contribution to system safety. Computing & Control Engineering Journal, 8(3), 107-112. Baber, C., & Stanton, N. A. (1997). Rewritable routines in human interaction with public technology. International Journal of Cognitive Ergonomics, 1(4), 237-249. Stanton, N. (1996). Engineering psychology: another science of common sense? The Psychologist, 9(7), 300-303. Stanton, N. A., & Marsden, P. (1996). From fly-by-wire to drive-by-wire: Safety implications of automation in vehicles. Safety Science, 24(1), 35-49. Stanton, N., & Baber, C. (1992). An investigation of styles and strategies in self directed learning. Journal of Educational Multimedia and Hypermedia, 1(2), 147-167. Stanton, N. A., Taylor, R. G., & Tweedie, L. A. (1992). Maps as navigation aids in hypertext: an empirical evaluation. Journal of Educational Multimedia and Hypermedia, 1(4), 431-444. Banks, V. A., & Stanton, N. A. (2017). Automobile Automation: Distributed Cognition on the Road. (Transportation Human Factors). CRC Press. McIlroy, R. C., & Stanton, N. (2017). Eco-Driving: From Strategies to Interfaces. CRC Press. Stanton, N., Landry, S., Di Bucchianico, G., & Vallicelli, A. (Eds.) (2014). Advances in human aspects of transportation part 1-3. (Advances in Human Factors and Ergonomics Series). Boca Raton, US: AFHE Conference. Walker, G. H., Stanton, N. A., Salmon, P. M., & Jenkins, D. P. (2009). Command and control: The sociotechnical perspective. (Human Factors in Defence). Aldershot, UK: Ashgate. Stanton, N. A., Jenkins, D. P., Salmon, P. M., Walker, G. H., Revell, K. M. A., & Rafferty, L. (2009). Digitising command and control: a human factors and ergonomics analysis of mission planning and battlespace management. Farnham, UK: Ashgate. Salmon, P. M., Stanton, N. A., Walker, G. H., & Jenkins, D. P. (2009). Distributed situation awareness: Theory, measurement and application to teamwork. (Human Factors in Defence). Aldershot, UK: Ashgate. Salmon, P., Stanton, N., Gibbon, A., Jenkins, D., & Walker, G. H. (2009). Human factors methods and sports science: A practical guide. London, UK: CRC Press. Jenkins, D. P., Stanton, N. A., Salmon, P. M., & Walker, G. H. (2008). Cognitive work analysis: coping with complexity. (Human Factors in Defence). Farnham, UK: Ashgate. Stanton, N. A., Baber, C., & Harris, D. (2008). Modelling command and control: event analysis of systemic teamwork. (Human Factors in Defence). Aldershot, UK: Ashgate. Karwowski, W. (Ed. ), & Stanton, N. A. (2006). International encyclopedia of ergonomics and human factors. Volume I. London, GB: Taylor & Francis. Stanton, N. A., Salmon, P. M., Walker, G. H., Baber, C., & Jenkins, D. (2005). 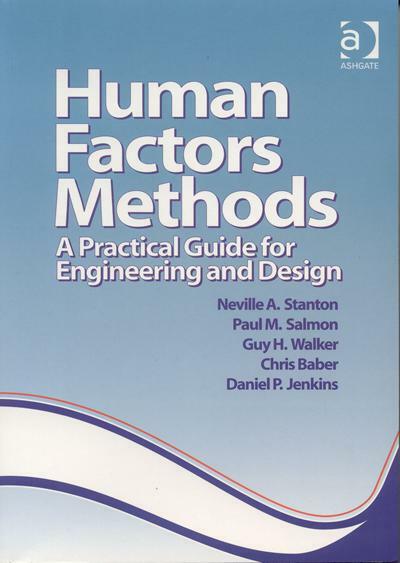 Human factors methods: a practical guide for engineering and design. Farnham, GB: Ashgate. Diaper, D., & Stanton, N. A. (Eds.) (2003). The handbook of task analysis in human-computer interaction. Chemical Rubber Company Press. Annett, J., & Stanton, N. A. (Eds.) (2000). Task analysis. London, GB: Taylor and Francis. Stanton, N. A., & Young, M. (1999). Guide to methodology in ergonomics: Designing for human use. Abingdon, GB: Chemical Rubber Company Press. Stanton, N. A., & Edworthy, J. (Eds.) (1999). Human factors in auditory warnings. Aldershot, GB: Ashgate. Stanton, N. (Ed.) (1998). Human factors in consumer products. Chemical Rubber Company Press. Stanton, N. A. (1996). Human Factors in Nuclear Safety. United States, US: Routledge. Stanton, N. (Ed.) (1994). Human factors in alarm design. Abingdon, GB: Taylor & Francis. Salmon, P., Read, G., Lenné, M. G., Mulvihill, C., Stevens, N., Walker, G., ... Stanton, N. (2018). Cognitive work analysis for systems analysis and redesign: Rail level crossings case study. In N. A. Stanton, P. M. Salmon, G. H. Walker, & D. P. Jenkins (Eds. ), Cognitive Work Analysis : Applications, Extensions and Future Directions (pp. 271-284). CRC Press. Stanton, N., & Jenkins, D. P. (2017). Application of cognitive work analysis to system analysis and design. In N. Stanton, P. Salmon, G. Walker, & D. Jenkins (Eds. ), Cognitive Work Analysis : Applications, Extensions and Future Directions (pp. 3-71). CRC Press. Baber, C., Stanton, N., & Houghton, R. (2017). Deriving and analysing social networks from SOCA-CAT diagrams. In N. A. Stanton, P. M. Salmon, G. H. Walker, & D. P. Jenkins (Eds. ), Cognitive Work Analysis: Applications, Extensions and Future Directions (pp. 387-401). CRC Press. Stanton, N., & McIlroy, R. C. (2017). Designing mission communications, planning with rich pictures and cognitive work analysis. In N. A. Stanton, P. M. Salmon, G. H. Walker, & D. P. Jenkins (Eds. ), Cognitive Work Analysis: Applications, Extensions and Future Directions (pp. 337-360). CRC Press. Stanton, N., & Bessell, K. (2017). How a submarine returns to periscope depth. In N. A. Stanton, P. M. Salmon, G. H. Walker, & D. P. Jenkins (Eds. ), Cognitive Work Analysis: Applications, Extensions and Future Directions (pp. 171-196). CRC Press. Stanton, N., & McIlroy, R. C. (2017). Specifying system requirements using cognitive work analysis. In N. A. Stanton, P. M. Salmon, G. H. Walker, & D. P. Jenkins (Eds. ), Cognitive Work Analysis : Applications, Extensions and Future Directions (pp. 75-102). CRC Press. Stanton, N., Plant, K., Dr Roberts, A., Harvey, C., & Thomas, T. (2017). Using work domain analysis to design a rotary wing head-up display. In N. A. Stanton, P. M. Salmon, G. H. Walker, & D. P. Jenkins (Eds. ), Cognitive Work Analysis: Applications, Extensions and Future Directions (pp. 321-335). CRC Press. Stanton, N. A. (2003). The psychology of task analysis today. In D. Diaper, & N. A. Stanton (Eds. ), The Handbook of Task Analysis for Human-Computer Interaction (pp. 569-584). London, GB: CRC. Stanton, N. A., & Stammers, R. B. (1994). Alarm initiated activities: matching visual formats to alarm handling 'tasks'. In N. A. Stanton (Ed. ), Human Factors in Alarm Design (pp. 93-117). London, GB: Taylor & Francis. Banks, V., Plant, K., & Stanton, N. (2018). Development of a usability evaluation framework for the flight deck. In R. Charles, & J. Wilkinson (Eds. ), Contemporary Ergonomics and Human Factors 2018 (pp. 1-7). CIEHF. Fay, D., Stanton, N., & Roberts, A. (Accepted/In press). Assessing sonar and target motion analysis stations in a submarine control room using cognitive work analysis. Paper presented at 2017 International Conference on Applied Human Factors and Ergonomics, Los Angeles, United States. Fay, D., Stanton, N., & Roberts, A. (Accepted/In press). Designing new interfaces for submarines: from cognitive work analysis to ecological interface design. Paper presented at 4th International Conference on Human Factors in Transportation, . Stanton, N. A., Beanland, V., Lenne, M. G., & Salmon, P. M. (2013). A self-report study of factors influencing decision-making at rail level crossings: comparing car drivers, motorcyclists, cyclists and pedestrians. 1-11. Paper presented at Australasian Road Safety Research Policing Education Conferenc, Australia. Stanton, N. A., Lenne, M. G., Salmon, P. B., Beanland, V., & Filtness, A. (2013). On-road driving studies to understand why drivers behave as they do at regional rail level crossings. Paper presented at 2013 Australasian Road Safety Research, Policing & Education Conference, Australia. Stanton, N. A., Cornelissen, M., Salmon, P., & McClure, R. (2013). Performance variability: black and white or shades of grey?. 1-8. Paper presented at 5th Resilience Engineering International Symposium, Netherlands. Revell, K. M. A., & Stanton, N. A. (2013). Using the notion of mental models in design to encourage optimal behaviour in home heating use. Paper presented at 11th International Conference on Naturalistic Decision Making 2013 (NDM 2013), France. Stanton, N. A., Plant, K. L., Harvey, C., & Bolton, L. (2012). A study of input devices for menu navigation in the cockpit. In M. Anderson (Ed. ), Contemporary Ergonomics and Human Factors 2012 (pp. 393-400). CRC Press. Revell, K. M. A., & Stanton, N. A. (2012). Affective design and its role in energy consuming behavior; part of the problem or part of the solution? In G. J. Yong (Ed. ), Advances in Affective and Pleasurable Design CRC. Plant, K. L., & Stanton, N. A. (2011). The use of the critical decision Method to elicit schematic processing in the cockpit: A pilot study. In M. Anderson (Ed. 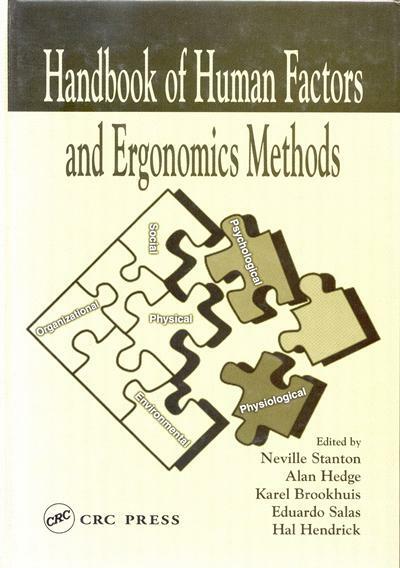 ), Contemporary Ergonomics and Human Factors 2011 (pp. 30-37). CRC Press. Stanton, N. A., Walker, G. H., Jenkins, D., Young, M. S., Stewart, R., & Wells, L. (2010). A human factors approach to analysing military command and control. 1-21. Paper presented at 11th International Command and Control Research and Technology Symposium, . Stanton, N. A., & Sorensen, L. J. (2010). Comparison of situational awareness in hierarchical C2 and edge network structures. Paper presented at The 15th International Command and Control Research and Technology Symposia, United States. Stanton, N. A., Lockton, D., & Harrison, D. (2010). Concept generation for persuasive design. Paper presented at PERSUASIVE 2010: 5th Intenational Conference on Persuasive Technology, Denmark. Lockton, D., Harrison, D., & Stanton, N. A. (2010). Modelling the user: how design for sustainable behaviour can reveal different stakeholder perspectives on human nature. 1-22. Paper presented at Knowledge Collaboration & Learning for Sustainable Innovation, Netherlands. Stanton, N. A., Walker, G. H., & Sorensen, L. J. (2010). Phase space shifts in command structures in networked systems. Paper presented at Proceedings of the 15th Command and Control Research and Technology Symposium (ICCRTS), United States. Stanton, N. A., Li, W-C., Harris, D., Hsu, U-L., Chang, D., Wang, T., & Young, H-T. (2010). Using HET taxonomy to help stop human error. 5-10. Paper presented at ISASI Forum- Air Safety Through Investigation, United Kingdom. Stanton, N. A., Walker, G. H., Salmon, P. M., Jenkins, D. P., & Rafferty, L. A. (2009). Challenges for digitisation – learning from analogue mission planning teams. Paper presented at 14th International Command and Control Research and Technology Symposia, United States. Stanton, N. A., Lockton, D., & Harrison, D. (2009). Choice architecture and design with intent. Paper presented at NDM9, 9th Bi-Annual International Conference on Naturalistic Decision Making, United Kingdom. Stanton, N. A., Walker, G. H., Jenkins, D. P., & Salmon, P. M. (2009). Constraint-based naturalistic decision making in mission planning teams. Paper presented at 9th Bi-annual international conference on Naturalistic Decision Making, United Kingdom. Stanton, N. A., Lockton, D., & Harrison, D. (2009). Design for sustainable behaviour: investigating design methods for influencing user behaviour. Paper presented at Sustainable Innovation 09: Towards a Low Carbon Innovation Revolution, 14th International Conference, United Kingdom. Stanton, N. A., & Salmon, P. M. (2009). Driver error and the implications for intelligent transport systems design. Paper presented at 16th ITS World Congress Stockholm 2009, . Li, W-C., Harris, D., Stanton, N. A., Hsu, Y-L., Chang, D., Wang, T., & Young, H-T. (2009). Human error prevention: using the human error template to analyze errors in a large transport aircraft for human factors considerations. 43-49. Paper presented at 40th Annual International Seminar: Accident Prevention Beyond Investigation, United States. Birrell, S., Young, M., Stanton, N. A., & Jenkins, D. (2008). Improving driver behaviour by design: a cognitive work analysis methodology. Paper presented at 2nd International Conference on Applied Human factors and Ergonomics, United States. Stanton, N. A., Baber, C., & Houghton, R. J. (2007). Constructing social networks on the basis of task and knowledge networks using WESTT. Paper presented at ICCRTS (11th International Command And Control Research And Technology Symposium)., United Kingdom. Stanton, N. A., Walker, G. H., Jenkins, D. P., Salmon, P. M., & Young, M. S. (2006). Cognitive work analysis of a sensor to effecter system: implications for network structures. Paper presented at Human Factors and Ergonomics Society Europe Chapter Meeting, . Stanton, N. A., Walker, G. H., Green, D., Gulliver, S., Young, M. S., Watts, S., ... Gibson, H. (2005). A reconfigurable c4 testbed for experimental studies into network enabled capability. 135-143. Paper presented at The IEE and MOD HFI DTC Symposium on People and Systems - Who Are We Designing For?, United Kingdom. Stanton, N. A., Salmon, P., Walker, G., & Green, D. (2004). Situation awareness in military command and control (C4I) systems: the development of a tool to measure SA in C4I systems and battlefield environments. Stage 1: SA methods review. In D. A. Vincenzi, M. Mouloua, & P. A. Hancock (Eds. ), Human Performance, Situation Awareness, and Automation (pp. 44-48). Abingdon, GB: Lawrence Erlbaum Associates. Stanton, N. A., Demagalski, J., Harris, D., Salmon, P., Marshall, A., Waldmann, T., & Dekker, S. (2002). Design induced errors on the modern flight deck during approach and landing. In S. Chatty, J. Hansman, & G. Boy (Eds. ), Proceedings of the International Conference on Human-Computer Interaction in Aeronautics (pp. 1-6). AAAI. Stanton, N. A. (1991). Alarm information in fault diagnosis. 1-5. Paper presented at IEE Colloquium on Condition Monitoring for Fault Diagnosis, United Kingdom. Stanton, N. A. (1991). Preventing Charlie's in a chocolate factory: a human factors perspective of alarm handling in confectionary manufacture. Paper presented at IEE Colloquium on HCI: Issues for the Factory, United Kingdom. Stanton, N. A. (2018). Preface. Advances in Intelligent Systems and Computing, 597, vii-ix. Stanton, N. A., Walker, G. H., Salmon, P. M., Jenkins, D. P., & Rafferty, L. A. (2009). Combining social network analysis and the NATO Approach Space to define agility. Topic 2: networks and networking. (ICCRTS "C2 and Agility"; No. 14:8). Uxbridge, GB: Defence Technology Centre for Human Factors Research. Stanton, N. A., Baber, C., Howard, D., & Hoghton, R. J. (2009). Predicting the structure of covert networks using genetic programming, cognitive work analysis and social network analysis. The University of Birmingham. Stanton, N. A., Salmon, P., Houghton, R., Rafferty, L., Walker, G., Jenkins, D., & Wells, L. (2008). Developing guidelines for distributed teamwork: review of the literature and the HFI DTC’s distributed teamwork studies. Birmingham, GB: BAE Systems. Stanton, N. A., Walker, G. H., Salmon, P. M., Gulliver, S., Jenkins, D., Ladva, D., ... McMaster, R. (2006). Experimental studies in a reconfigurable C4 test-bed for network enabled capability. Birmingham, GB: Birmingham University, Human Factors Integration Defence Technology Centre. Stanton, N. A., Baber, C., Hone, G., Macleod, I., McMaster, R., & Salmon, P. (2005). Cognitive task analysis: current use and practice in the UK Armed Forces and elsewhere. Defence Technology Centre. Stanton, N. A., Salmon, P., & Walker, G. (2003). Human factors design methods review. London, GB: Human Factors Integration Defence Technology Centre. Tabor, E., Chappell, A., Stanton, N. A., & Turnock, P. (2000). Exploring design and innovation. London, GB: Design Council. Professor Stanton has advised numerous organisations on Safety Cases and Safety Management Systems over the past 20 years. Stanton, N. A. and Baber, C. (2008) Modelling of alarm handling responses times: A case of the Ladbroke Grove rail accident in the UK. Ergonomics, 51 (4) 423-440. Stanton, N. A. and Walker, G. H. (2011) Exploring the psychological factors involved in the Ladbroke Grove rail accident. Accident Analysis & Prevention, 43 (3), 1117-1127.